The online registration for GATE 2018 exam will end today. Candidates, who are planning to apply for GATE, should complete the registration process on GOAPS website before 8:00 pm today. 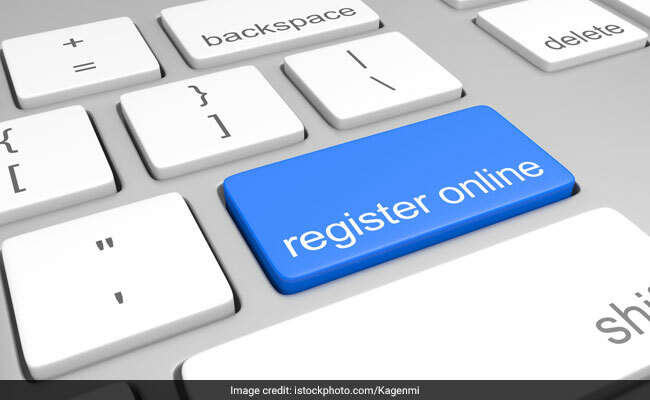 New Delhi: The online registration for GATE 2018 exam will end today. Candidates, who are planning to apply for GATE, should complete the registration process on GOAPS website before 8:00 pm today. The exam will be held in February next year and results will be declared in March 2018. Earlier the application process was due to end on October 5, 2017, however the organizing committee decided to extend the last date in response to requests received form applicants. Step 3: A candidates may enter the required details: Address for Communication, Eligibility degree details, College name and address with PIN code, GATE 2018 paper (subject), Choice of GATE 2018 examination cities, Photograph, Image of candidate's signature etc. Step 4: Click "Save and View Application" button. Candidates applying on the last date are also exempted from mandatory email and phone number verification. An update on the official GATE 2018 website said, "Due to last minute rush, the mandatory verification of email and mobile number (before submitting the GATE application form) is relaxed. You will be able to submit the application form now without verifying the email address and mobile number. Also make the payment before due date. However, you need to verify the email and mobile number later by login to GOAPS." Another update on the website also said that candidates whose application, after submission, reads 'under scrutiny' need not be worried. "The scrutiny process will continue even after the application portal is closed," said the update.